Great location near Southpoint Mall makes it super convenient. Come see! ! MLS#2248247. 118. Outside, enjoy the deck and whispers of water trickling from the neighbors fountain & convenient access to downtown Durham and all that it has to offer. Welcome Home! MLS#2248261. 5020. Audubon Park - You can't find ANYTHING like this for $250k in the Triangle. 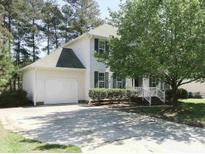 MLS#2248310. 4772. Ridgewood - Upgraded features include fresh interior paint and a new HVAC system. 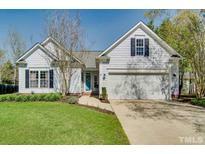 MLS#2248362. 4823. 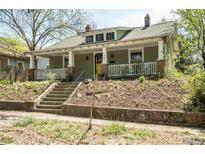 Mason Woods - Location is quick and easy to Downtown Durham. MLS#2248408. 3081. This Home is a Must See and Will Not Last Long! 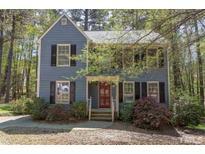 MLS#2248328. 5001. Green Gardens - This will not last long. *WELCOME HOME* MLS#2247793. 5202. Showings to start on Saturday 4/12 MLS#2248179. 4542. Walk to Duke, the Durham Co-op, the Nasher, Shoppes at Lakewood, Coco Cinnamon. Showings start Sunday 4/14 MLS#2248389. 3081. Stirrup Creek - Schedule your appointment today this home will not last long! MLS#2247584. 4595. There is also a fenced in area for pets! MLS#2248196. 4239. 2nd bathroom not permitted when added. MLS#2248140. 4025. Old Farm - Market Value a lot higher. Sought after Established Neighborhood, MLS#2248442. 397. Within walking distance of downtown and proposed light rail station. MLS#2248406. 5026. Gut rehab, tear down and re-build student housing, lots of possibilities. Sold As-Is Where-Is. 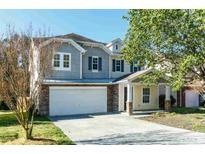 MLS#2248283. 4025. 610 North Buchanan Blvd is a 4-year-old, 3100-square-foot, 4-bedroom Craftsman in beautiful Trinity Park, right across the street from Duke east campus * The cabinets, doors and windows are works of art * Concrete and hardwood floors (no carpet, anywhere) * 10' ceilings * Its LEED Platinum energy efficiency includes photovoltaics, a ground-source heat pump, a tankless water heater, and a rainwater cistern * The combined utility bill (electric, gas and water) averages $56 per month * It is one cool house. 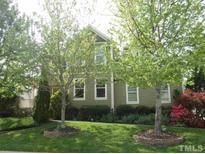 MLS#2248080. 238. Covered porch + expansive level lawn. Like new retreat! MLS#2248061. 150. Informal living on lower level. A true treat. MLS#2248112. 238. 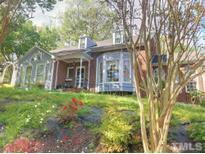 Seclusion, low taxes, Chapel Hill schools top off the list of YES, PLEASE! MLS#2247501. 5026. 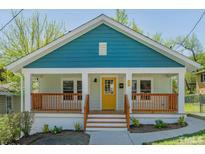 Idlewood - A perfect house if you want to make the Bull City your home! MLS#2248040. 3081. Autumn Ridge - New roof (18), new bamboo floors downstairs (17), master bath renovation(15), tankless water heater(12), new carpet upstairs(17), some new kitchen cabinets, heated tile floors in sunroom & master bath, 10x32 deck, power awning, large fenced backyard that backs to woods, irrigation system, 12x12 storage shed w/shelves & electricity, huge 5th bedroom or bonus room. MLS#2247812. 238. 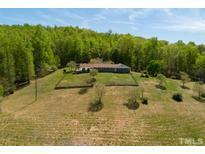 Amazing location - convenient to Southpoint & I40! MLS#2247042. 4870. Southampton - Conveniently located to American Tobacco Trail, Duke, UNC and more! 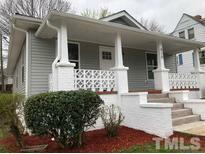 MLS#2247907. 2731. 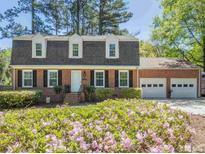 Conveniently situated only minutes from ATT access w/EZ commute to UNC & Duke! Hurry! MLS#2242371. 4542. Nice large storage building in beautiful backyard. New water heater. MLS#2247837. 3639.